The vision behind this shoot came from floral designer Rebekah Northway. 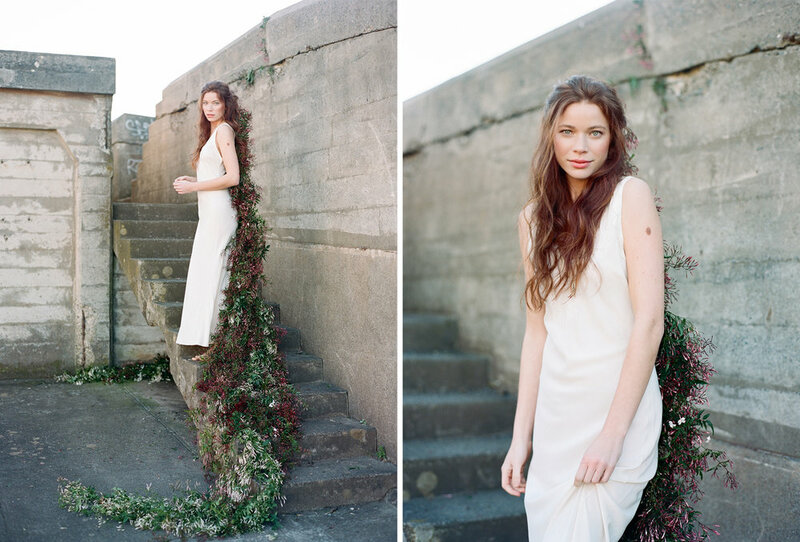 A simple, almost whimsical idea, of a barefoot bride with a river of jasmine blossoms in her hair. Mixed fuchsia, pink, and white blooms, the ethereal "river" truly came to life on the batteries above San Francisco's Presidio.